Tags: dog pen, dog enclosures, puppy pen, puppy enclosure, dog kennels, dog enclosure, dog runs Zampa Pet Exercise Playpen, Kennel. For Dogs and Puppies. 2 Access Doors + Removable Top. Zampa Pets. Just what you need to give your pooch a comfortable and attractive home. it's ready whenever you are. It features a comfortable carry handle and includes a carrying case to make transport and storage even easier. Exterior side pockets provide a handy place for treats, supplies, water, and personal items. This play pen is made from water-resistant materials with reinforced corners, protected seams,and heavy-duty zippers. The floor panel is attached for easy setup and maintenance. To ensure your pet's comfort, this play pen features a water dispenser hole and bottle holder,as well as water bowl attachment clip on the interior. A spacious interior gives your pet room to play,and a zip-off top allows you to select an open or covered pen to account for weather. I want to let you know about a great classified ad I have just found. 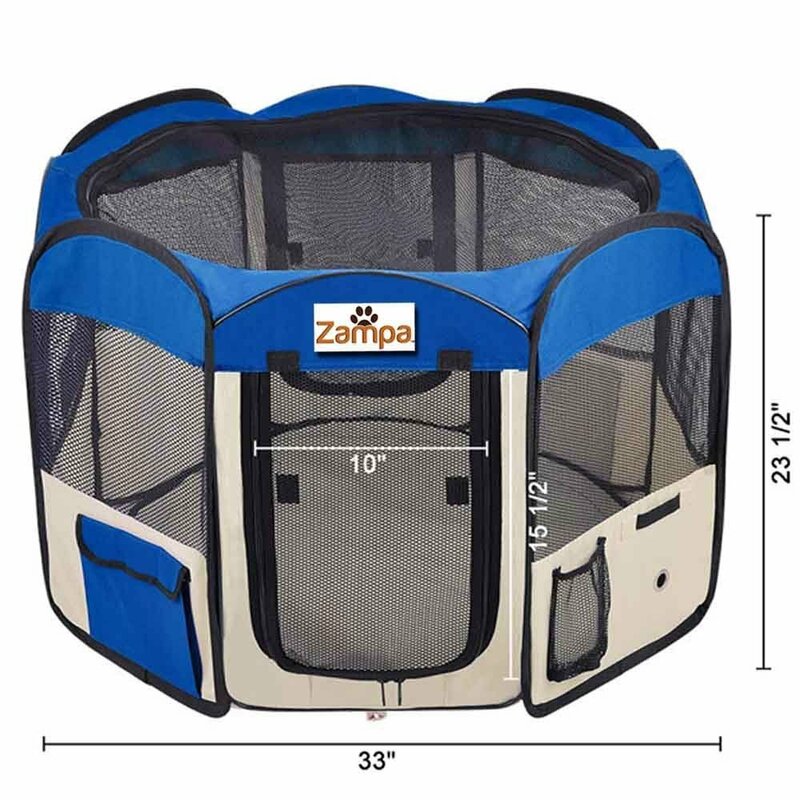 This classified may be found at https://gsdsite.com/ads-3027/zampa-pet-exercise-playpen-kennel-for-dogs-and-puppies-2-access-doors--removable-top.html. Title of the classified: Zampa Pet Exercise Playpen, Kennel. For Dogs and Puppies. 2 Access Doors + Removable Top.